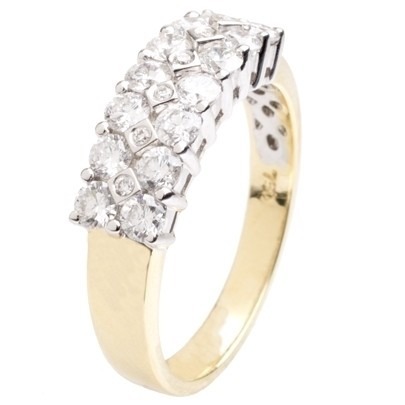 A traditional style three row diamond cluster ring from our signature jewellery collection. Set in a quality 18 carat yellow gold, the white settings intensify the energy and sparkle emitted from the beautiful round brilliant cut diamonds; weighing in excess of 1.00 carat. This ring will appease any attire, for any occasion.